Headed into the California State Track and Field Championships, the NCAA Championships at Drake Stadium, the Olympic Qualifier in Eugene, and eventually the London Olympics, we add a seasons-end song to the mix. For some athletes their season is complete, all effort given and exploited in their exploits. Some may have remorse (or joy) in being done. May this song serve as encouragement on any and all levels. Check out the ever-melodic Brit-band, Keane (with ever-cherubic lead singer Tom Chaplin) playing their recent song, The Starting Line, in Manchester last night (this interwebs thing just might catch on). After, check out an acoustic version of the same song which reminds of favorite fellow Brit-band Travis and the vocals of The Antlers’ Peter Silberman. “Drag your heart up to the starting line, forget the ghosts that make you old before your time, it’s too easy to get left behind….” Indeed. Back at it. 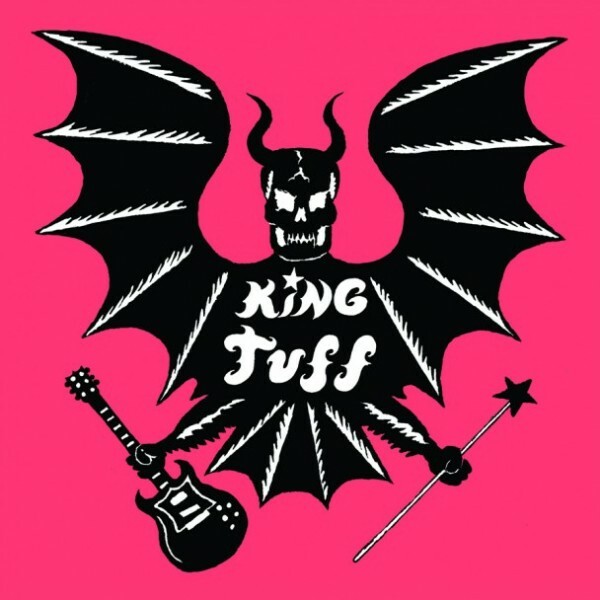 King Tuff is the new record (just released on Tuesday) from Kyle Thomas, who is also the front-man of Happy Birthday and vocalist for J. Mascis’ band Witch. This is his first album for Sub Pop. We’ve been listening to the new album on repeat and have simply been Tuffed up. King Tuff is just in time for summer and is an amiable mash-up of some of ’70s-rock’s best sounds (running the gamut from glam to late ’70s power-pop–check out Bad Thing for the latter). Thomas nasals along like Dylan/Vile with some added Marc Bolan (T.Rex) sneer, and all on top of a melodic, winning power-pop melange. We hear T. Rex meeting the Stones/Kinks while visiting a Buzzcocks recording session. It’s a rollicking, rocking ride. So it comes as welcome relief when the band downshifts to an acoustic rave-up on Baby Just Break the Rules, and slows the sound down on Evergreen (with its Stone Roses mien) and Swamp of Love (our favorite song on the album and a T.Rex-esque pop masterpiece that you can listen to below). Though you’ve heard it all before, King Tuff is catchy and fun-filled, and you haven’t heard it quite like this. Great stuff. Go on and get Tuff. Check out Swamp of Love and then stream the whole album below it, and at bottom you can check out the official video for their song Bad Thing. And once you’re fully Tuffed up, you can go over and buy the album HERE. We’ve featured them before, but given their impending visit to Santa Barbara at Velvet Jones on Saturday, we thought we’d show you a little more Hospitality. Check out a new vignette from the Bowery folks of the band performing an acoustic rendition of The Birthday, a song off the Brooklyn-based band’s eponymous debut album. The performance was captured at the A-1 Restaurant Equipment store in Manhattan. Hospitality opens for Electric Guest this Saturday at Velvet Jones in Santa Barbara. Check out Hospitality’s intricate guitar-pop, and especially the nimble, inventive guitar-playing of Nathan Michel (check him out at 2:00 below for a feel) and unique vocals of Kansas City-native, Amber Papini. We hope Michel will be given rein to exhibit full guitar hospitality. As mentioned last week, we are in a Polica state. The Bon Iver-touted band (and featuring Bon Iver’s Mike Noyce on their first album) showed up on KEXP, and videos of their performances have just been released by KEXP. Check out Polica performing Wandering Star, The Maker, and Dark Star from their new album Give You the Ghost. Channy Leaneagh can make even the terrible vocoder tolerable (previously believed to be impossible). A band to watch. The Roches are three sisters, Maggie, Terre, and Suzzy, from New York that have been loved for their heavenly harmonies and quirky songwriting. They have been talented enough to draw the attention of Paul Simon (he recruited them to sing on There Goes a Rhymin’ Simon) and Robert Fripp (he produced and played on several of their albums), amongst others. They have a radiant discography that frippered out in the ’90s (though they put out a well-received album in 2007). Their finest song is Hammond Song, off of their eponymous 1979 debut album, which we played to death. The video below captures the sisters in all their harmonious glory, belting the song. Hammond is a Louisiana town that the two older sisters, Maggie and Terre, spent six months in after singing on Paul Simon’s There Goes a Rhymin’ Simon. They went to Hammond together, though one was evidently following a suitor. Despite the concerns expressed in the song, the sisters ended up back in New York. Together. Check it out. Over recent weeks, we’ve repeatedly shared new songs and official videos from the impending new Neil Young & Crazy Horse album, Americana. We are crazy about the tracks we’ve heard so far. Now go over to Rolling Stone and stream the entire album before its release on June 5th. Long live Neil Young (and Crazy Horse)! Check out Electric Guest (“Los Angeles indie funk soul brothers”) playing unplugged for Rhapsody at last weekend’s Sasquatch Festival. The band’s Asa Taccone appears to have undergone a successful Prince-change operation. Electric Guest will headline (with the ear-hospitable Hospitality opening) this coming Saturday at Velvet Jones. Get your tickets from Club Mercy HERE. In honor of Memorial Day (and, judging from the closing seconds of the video, answers to prayer) the Avett Brothers today released a sweet capture of Bob Crawford and the Brothers-proper singing the ole gospel hymn, Closer Walk With Thee. We wish you peace this day in particular. The luminous Lambchop showed up on the Jimmy Fallon Show last night to perform the chugging Gone Tomorrow off of their masterful Mr. M album. “Hey, hey! !” Indeed. Nice Memorial Day work by J-Fal at the end too. In other Lambchop news, Merge Records recently captured Kurt Wagner giving background on each of the tracks off of Mr. M. Check them out beginning with Wagner’s explique of Gone Tomorrow below. After lighting up the Letterman Show recently, the White Rabbits were at it again this week, showing up on the Conan to perform their song The Day You Won the War. Check them out.